Like most activist concepts that had began their lives as noble pursuits, the notion of “media freedom” had been perverted beyond all recognition by the Philippines’ snowflake activists. Worse, in the hands of downright dishonest and political agenda-laden “thought leaders” of the Philippine Opposition, the concept has since suffered a death spiral in relevance. For that matter, it is worth revisiting whether the concept of “media freedom” even made sense to begin with. Freedom of speech or expression is considered a near-sacred right in most democratic societies, including this one. But freedom of expression is not a one-way street with a single lane. All it means to a media entity (or anyone else) is that the right to expression cannot be denied for its own sake; in other words, shutting down newspapers (as Ferdinand Marcos did) or arresting dissident writers simply because they are critical of the regime, and for no other valid reason provided by the law, is unacceptable. Zeroing in on the “plight” of Rappler, there is no doubt that having no substance whatsoever to offer in defense of her sorority’s taxation woes, Ressa has resorted to ocho ocho “activism” to divert attention away from inconvenient facts. But, as Kritz points out, “if you’re a tax evader or an illegal squatter, well then, that is all you are, no matter the quality of your work. Most media in the Philippines are not those things nor do they behave in other legally unseemly ways, which is why they are left in peace, as [embattled former TV news personality Jiggy Manicad ] noted.” For that matter, even the quality of the “journalism” Rappler supposedly subjects its readers to is dubious at best, dishonest at its worst. The lack of professionalism and downright dishonesty of Rappler authors is legendary and dates back to the time of inception of this so-called “social news site”. Back in 2012, Rappler was in the singular business of spreading falsehoods about the late former Chief Justice Renato Corona who, at the time, was the target of an institutional harassment campaign perpetrated by the government of then President Benigno Simeon ‘BS’ Aquino III. Rappler contributed ammo to this campaign in the form of “information” on the case, some of it illegally obtained as was done by Rapplerettes Magtanggol de la Cruz and Carmela Fonbuena who published both details and account balances of Corona’s foreign currency deposits which were then later used as “evidence” by Corona’s prosecutors. Rappler ‘reporter’ Carmela Fonbuena has consistently delivered sloppy journalism since 2012. 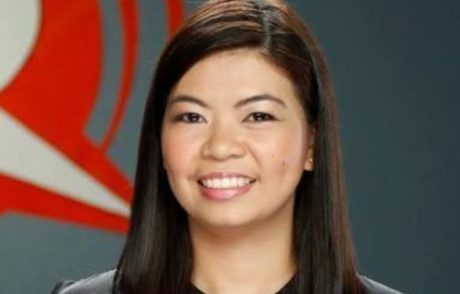 Rapplerette Fonbuena, specifically, seems to possess a particularly slippery quality in the way she has consistently escaped scrutiny and consequences for her sub-standard reporting. Her most recent journalistic gaffe (to put her brand of crooked reporting mildly), is her series of “investigative reports” on an on-going project involving the acquisition of two brand-new warships from Korean shipbuilder Hyundai Heavy Industries where she alleges then Special Assistant to the President (SAP) Bong Go “intervened” inappropriately. 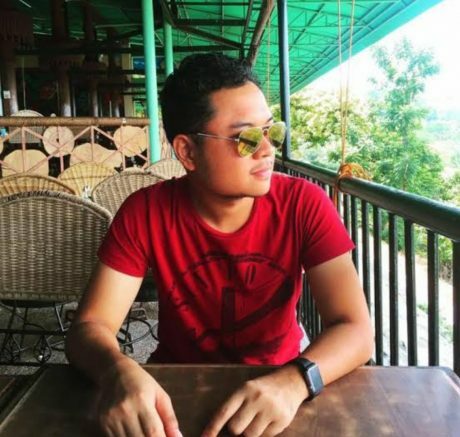 The case was covered by other news organisations but Fonbuena’s Rappler “report” was notable for its blatantly unsound approach to investigating the matter. As if that daft reliance on kindergarten journalism weren’t enough, Rappler had recently started delivering “economic analysis” courtesy of “PhD candidate” JC Punongbayan of the University of the Philippines (figure that out!). The primary thesis of Punongbayan’s “analyses” published on Rappler is the moronic idea that presidents are the primary causes of macro economic performance. He goes about “proving” this by exhibiting graphs of economic metrics like “inflation” lined up against timelines of presidential terms. Unfortunately this mere correlation of data points is not enough to prove causal relationship between the movement of inflation and sitting presidents. Punongbayan falls for a flaw in reasoning common amongst wet-behind-the-ears “analysts” — concluding causal relationship on the basis of mere correlation. JC Punongbayan needs to apply more science and less snowflake shrillness in his practice of economics. “We think the trend is going to continue this year. The [Philippine] government has implemented the second tranche of fuel price hike (by P1 for gasoline and P2 for diesel or up by 4 percent from December 2018) as planned as oil prices stayed below $80 a barrel (Mean of Platts Singapore). Rice price has been stable, growing at 3.7 percent year-on-year from 4.6 percent. Overall this year, pressure due to fuel price is likely to remain on the background, [but] more risk might come from rice price due to weather,” [DBS Bank Ltd. economist Masyita Crystallin] said. As can be seen in this snippet of sober analysis uncoloured by monomanic partisan agendas, there are at least several factors at play in the movement of national inflation rates. And even with a larger set of data points applied compared to Punongbayan’s schoolgirl “analysis”, economists such as Crystallin proceed with mature caution in the use of its quantitative output. 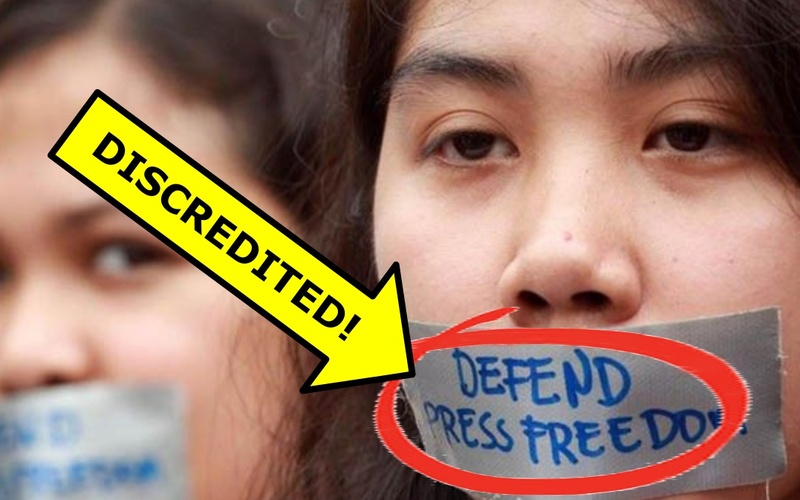 Indeed, it is quite hilarious that the self-anointed Joan of Arc of the Philippines’ so-called “fight” versus its activists’ imagined “assault on press freedom” is the CEO of a “news” organisation with such an appalling record of sloppy, lazy, and downright dishonest “journalism”. If the Filipino people needs rescuing, it is not from the notions of “tyranny” manufactured by these crooked “thought leaders”. It is from people and organisations who rely on mere credentials to secure their sense of entitlement to monopolise what is essentially an obsolete soapbox. Next Article A new and deeper-affecting REVOLUTION is happening in the Philippines! Disinformation has been the tool of the Aquino Cojuangco political axis. They used it on the late Pres. Marcos Sr.; they used it on the late Chief Justice Renato Corona. They used it on any known political enemies. Political propaganda machine,;disinformation; the hiring of “investigative journalists”, who are the “attack dogs” to destroy their political enemies; the prostituting of the mainstream media; and the hiring of computer trolls to harass the anti Aquino internet bloggers. They also hired computer hackers to destroy the computers of the anti Aquino bloggers with various kinds of viruses. This is how vicious these Aquino Cojuangco political axis to their critics and political enemies. It is a “silent civil war” in the internet. The pro Aquino bloggers trolls, against the anti Aquino bloggers. We are not Economists. So, do not show us graphs and data, we cannot understand. Or write in your articles, terms only understood by Economists. This is just a tactic to divert the issues and to confuse us all. What I know is : my monthly earnings is not enough to pay the rent, buy food and send my children to school. The 500 peso bill with smirking faces of the Aquinos is now worth nothing ! Not paying your taxes, and shout , “attack on Press Freedom” , is indeed a good way to escape being a tax evader. You can even be featured as , “Person of the Year” by the Time Magazine ! When disinformation is running rampant, there are two ignorances that may emerge: the one is actually positive, a sort of pure and intentional emptying of the mind; but the other is of course negative and clogged and polluted.